Guess what? Almost all the current wars, uprisings, and other conflicts in the Middle East are connected by a single thread, which is also a threat: these conflicts are part of an increasingly frenzied competition to find, extract, and market fossil fuels whose future consumption is guaranteed to lead to a set of cataclysmic environmental crises. Amid the many fossil-fueled conflicts in the region, one of them, packed with threats, large and small, has been largely overlooked, and Israel is at its epicenter. Its origins can be traced back to the early 1990s when Israeli and Palestinian leaders began sparring over rumored natural gas deposits in the Mediterranean Sea off the coast of Gaza. In the ensuing decades, it has grown into a many-fronted conflict involving several armies and three navies. In the process, it has already inflicted mindboggling misery on tens of thousands of Palestinians, and it threatens to add future layers of misery to the lives of people in Syria, Lebanon, and Cyprus. Eventually, it might even immiserate Israelis. Resource wars are, of course, nothing new. Virtually the entire history of Western colonialism and post-World War II globalization has been animated by the effort to find and market the raw materials needed to build or maintain industrial capitalism. This includes Israel's expansion into, and appropriation of, Palestinian lands. But fossil fuels only moved to center stage in the Israeli-Palestinian relationship in the 1990s, and that initially circumscribed conflict only spread to include Syria, Lebanon, Cyprus, Turkey, and Russia after 2010. Talk of an oil glut and a potential further price drop seems to be growing. The cost of a barrel of crude now sits at just under $60, only a little more than half what it was at its most recent peak in June 2014. Meanwhile, under a barrel of woes, economies like China's have slowed and in the process demand for oil has sagged globally. And yet, despite the cancellation of some future plans for exploration and drilling for extreme (and so extremely expensive) forms of fossil fuels, startling numbers of barrels of crude are still pouring onto troubled waters. For this, a thanks should go to the prodigious efforts of "Saudi America" (all that energetic hydraulic fracking, among other things), while the actual Saudis, the original ones, are still pumping away. We could, in other words, have arrived not at "peak oil" but at "peak oil demand" for at least a significant period of time to come. At Bloomberg View, columnist A. Gary Shilling has even suggested that the price of crude could ultimately simply collapse under the weight of all that production and a global economic slowdown, settling in at $10-$20 a barrel (a level last seen in the 1990s). And here's the saddest part of this story: no matter what happens, the great game over energy and the resource conflicts and wars that go with it show little sign of slowing down. One thing is guaranteed: no matter how low the price falls, the scramble for sources of oil and the demand for yet more of them won't stop. Even in this country, as the price of oil has dropped, the push for the construction of the Keystone XL pipeline to bring expensive-to-extract and especially carbon-dirty Canadian "tar sands" to market on the U.S. Gulf Coast has only grown more fervent, while the Obama administration has just opened the country's southern Atlantic coastal waters to future exploration and drilling. In the oil heartlands of the planet, Iraq and Kurdistan typically continue to fight over who will get the (reduced) revenues from the oil fields around the city of Kirkuk to stanch various financial crises. In the meantime, other oil disputes only heat up. Among them is one that has gotten remarkably little attention even as it has grown more intense and swept up ever more countries. This is the quarter-century-old struggle over natural gas deposits off the coast of Gaza as well as elsewhere in the eastern Mediterranean. That never-ending conflict provides a remarkable and grim lens through which to view so many recent aspects of Israeli-Palestinian relations, and long-time TomDispatch regular Michael Schwartz offers a panoramic look at it here for the first time. Back in 1993, when Israel and the Palestinian Authority (PA) signed the Oslo Accords that were supposed to end the Israeli occupation of Gaza and the West Bank and create a sovereign state, nobody was thinking much about Gaza's coastline. As a result, Israel agreed that the newly created PA would fully control its territorial waters, even though the Israeli navy was still patrolling the area. Rumored natural gas deposits there mattered little to anyone, because prices were then so low and supplies so plentiful. No wonder that the Palestinians took their time recruiting British Gas (BG) -- a major player in the global natural gas sweepstakes -- to find out what was actually there. Only in 2000 did the two parties even sign a modest contract to develop those by-then confirmed fields. BG promised to finance and manage their development, bear all the costs, and operate the resulting facilities in exchange for 90% of the revenues, an exploitative but typical "profit-sharing" agreement. With an already functioning natural gas industry, Egypt agreed to be the on-shore hub and transit point for the gas. The Palestinians were to receive 10% of the revenues (estimated at about a billion dollars in total) and were guaranteed access to enough gas to meet their needs. Had this process moved a little faster, the contract might have been implemented as written. In 2000, however, with a rapidly expanding economy, meager fossil fuels, and terrible relations with its oil-rich neighbors, Israel found itself facing a chronic energy shortage. Instead of attempting to answer its problem with an aggressive but feasible effort to develop renewable sources of energy, Prime Minister Ehud Barak initiated the era of Eastern Mediterranean fossil fuel conflicts. He brought Israel's naval control of Gazan coastal waters to bear and nixed the deal with BG. Instead, he demanded that Israel, not Egypt, receive the Gaza gas and that it also control all the revenues destined for the Palestinians -- to prevent the money from being used to "fund terror." With this, the Oslo Accords were officially doomed. By declaring Palestinian control over gas revenues unacceptable, the Israeli government committed itself to not accepting even the most limited kind of Palestinian budgetary autonomy, let alone full sovereignty. Since no Palestinian government or organization would agree to this, a future filled with armed conflict was assured. The Israeli veto led to the intervention of British Prime Minister Tony Blair, who sought to broker an agreement that would satisfy both the Israeli government and the Palestinian Authority. The result: a 2007 proposal that would have delivered the gas to Israel, not Egypt, at below-market prices, with the same 10% cut of the revenues eventually reaching the PA. However, those funds were first to be delivered to the Federal Reserve Bank in New York for future distribution, which was meant to guarantee that they would not be used for attacks on Israel. This arrangement still did not satisfy the Israelis, who pointed to the recent victory of the militant Hamas party in Gaza elections as a deal-breaker. Though Hamas had agreed to let the Federal Reserve supervise all spending, the Israeli government, now led by Ehud Olmert, insisted that no "royalties be paid to the Palestinians." Instead, the Israelis would deliver the equivalent of those funds "in goods and services." This offer the Palestinian government refused. Soon after, Olmert imposed a draconian blockade on Gaza, which Israel's defense minister termed a form of "'economic warfare' that would generate a political crisis, leading to a popular uprising against Hamas." With Egyptian cooperation, Israel then seized control of all commerce in and out of Gaza, severely limiting even food imports and eliminating its fishing industry. As Olmert advisor Dov Weisglass summed up this agenda, the Israeli government was putting the Palestinians "on a diet" (which, according to the Red Cross, soon produced "chronic malnutrition," especially among Gazan children). When the Palestinians still refused to accept Israel's terms, the Olmert government decided to unilaterally extract the gas, something that, they believed, could only occur once Hamas had been displaced or disarmed. As former Israel Defense Forces commander and current Foreign Minister Moshe Ya'alon explained, "Hamas... has confirmed its capability to bomb Israel's strategic gas and electricity installations... It is clear that, without an overall military operation to uproot Hamas control of Gaza, no drilling work can take place without the consent of the radical Islamic movement." Following this logic, Operation Cast Lead was launched in the winter of 2008. According to Deputy Defense Minister Matan Vilnai, it was intended to subject Gaza to a "shoah" (the Hebrew word for holocaust or disaster). Yoav Galant, the commanding general of the Operation, said that it was designed to "send Gaza decades into the past." As Israeli parliamentarian Tzachi Hanegbi explained, the specific military goal was "to topple the Hamas terror regime and take over all the areas from which rockets are fired on Israel." Operation Cast Lead did indeed "send Gaza decades into the past." Amnesty International reported that the 22-day offensive killed 1,400 Palestinians, "including some 300 children and hundreds of other unarmed civilians, and large areas of Gaza had been razed to the ground, leaving many thousands homeless and the already dire economy in ruins." The only problem: Operation Cast Lead did not achieve its goal of "transferring the sovereignty of the gas fields to Israel." In 2009, the newly elected government of Prime Minister Benjamin Netanyahu inherited the stalemate around Gaza's gas deposits and an Israeli energy crisis that only grew more severe when the Arab Spring in Egypt interrupted and then obliterated 40% of the country's gas supplies. Rising energy prices soon contributed to the largest protests involving Jewish Israelis in decades. As it happened, however, the Netanyahu regime also inherited a potentially permanent solution to the problem. An immense field of recoverable natural gas was discovered in the Levantine Basin, a mainly offshore formation under the eastern Mediterranean. Israeli officials immediately asserted that "most" of the newly confirmed gas reserves lay "within Israeli territory." In doing so, they ignored contrary claims by Lebanon, Syria, Cyprus, and the Palestinians. In some other world, this immense gas field might have been effectively exploited by the five claimants jointly, and a production plan might even have been put in place to ameliorate the environmental impact of releasing a future 130 trillion cubic feet of gas into the planet's atmosphere. However, as Pierre Terzian, editor of the oil industry journal Petrostrategies, observed, "All the elements of danger are there... This is a region where resorting to violent action is not something unusual." In the three years that followed the discovery, Terzian's warning seemed ever more prescient. Lebanon became the first hot spot. 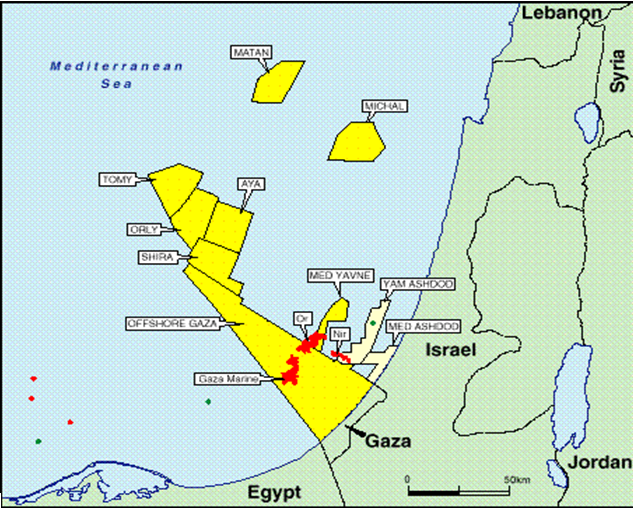 In early 2011, the Israeli government announced the unilateral development of two fields, about 10% of that Levantine Basin gas, which lay in disputed offshore waters near the Israeli-Lebanese border. Lebanese Energy Minister Gebran Bassil immediately threatened a military confrontation, asserting that his country would "not allow Israel or any company working for Israeli interests to take any amount of our gas that is falling in our zone." Hezbollah, the most aggressive political faction in Lebanon, promised rocket attacks if "a single meter" of natural gas was extracted from the disputed fields. Israel's Resource Minister accepted the challenge, asserting that "[t]hese areas are within the economic waters of Israel... We will not hesitate to use our force and strength to protect not only the rule of law but the international maritime law." "In practical terms... nobody is going to invest with Lebanon in disputed waters. There are no Lebanese companies there capable of carrying out the drilling, and there is no military force that could protect them. But on the other side, things are different. You have Israeli companies that have the ability to operate in offshore areas, and they could take the risk under the protection of the Israeli military." Sure enough, Israel continued its exploration and drilling in the two disputed fields, deploying drones to guard the facilities. Meanwhile, the Netanyahu government invested major resources in preparing for possible future military confrontations in the area. For one thing, with lavish U.S. funding, it developed the "Iron Dome" anti-missile defense system designed in part to intercept Hezbollah and Hamas rockets aimed at Israeli energy facilities. It also expanded the Israeli navy, focusing on its ability to deter or repel threats to offshore energy facilities. Finally, starting in 2011 it launched airstrikes in Syria designed, according to U.S. officials, "to prevent any transfer of advanced... antiaircraft, surface-to-surface and shore-to-ship missiles" to Hezbollah. Nonetheless, Hezbollah continued to stockpile rockets capable of demolishing Israeli facilities. And in 2013, Lebanon made a move of its own. It began negotiating with Russia. The goal was to get that country's gas firms to develop Lebanese offshore claims, while the formidable Russian navy would lend a hand with the "long-running territorial dispute with Israel." By the beginning of 2015, a state of mutual deterrence appeared to be setting in. Although Israel had succeeded in bringing online the smaller of the two fields it set out to develop, drilling in the larger one was indefinitely stalled "in light of the security situation." U.S. contractor Noble Energy, hired by the Israelis, was unwilling to invest the necessary $6 billion in facilities that would be vulnerable to Hezbollah attack, and potentially in the gun sights of the Russian navy. On the Lebanese side, despite an increased Russian naval presence in the region, no work had begun. Meanwhile, in Syria, where violence was rife and the country in a state of armed collapse, another kind of stalemate went into effect. The regime of Bashar al-Assad, facing a ferocious threat from various groups of jihadists, survived in part by negotiating massive military support from Russia in exchange for a 25-year contract to develop Syria's claims to that Levantine gas field. Included in the deal was a major expansion of the Russian naval base at the port city of Tartus, ensuring a far larger Russian naval presence in the Levantine Basin. While the presence of the Russians apparently deterred the Israelis from attempting to develop any Syrian-claimed gas deposits, there was no Russian presence in Syria proper. So Israel contracted with the U.S.-based Genie Energy Corporation to locate and develop oil fields in the Golan Heights, Syrian territory occupied by the Israelis since 1967. Facing a potential violation of international law, the Netanyahu government invoked, as the basis for its acts, an Israeli court ruling that the exploitation of natural resources in occupied territories was legal. At the same time, to prepare for the inevitable battle with whichever faction or factions emerged triumphant from the Syrian civil war, it began shoring up the Israeli military presence in the Golan Heights. And then there was Cyprus, the only Levantine claimant not at war with Israel. Greek Cypriots had long been in chronic conflict with Turkish Cypriots, so it was hardly surprising that the Levantine natural gas discovery triggered three years of deadlocked negotiations on the island over what to do. In 2014, the Greek Cypriots signed an exploration contract with Noble Energy, Israel's chief contractor. The Turkish Cypriots trumped this move by signing a contract with Turkey to explore all Cypriot claims "as far as Egyptian waters." Emulating Israel and Russia, the Turkish government promptly moved three navy vessels into the area to physically block any intervention by other claimants. Remember the Iron Dome system, developed in part to stop Hezbollah rockets aimed at Israel's northern gas fields? Over time, it was put in place near the border with Gaza to stop Hamas rockets, and was tested during Operation Returning Echo, the fourth Israeli military attempt to bring Hamas to heel and eliminate any Palestinian "capability to bomb Israel's strategic gas and electricity installations." Launched in March 2012, it replicated on a reduced scale the devastation of Operation Cast Lead, while the Iron Dome achieved a 90% "kill rate" against Hamas rockets. Even this, however, while a useful adjunct to the vast shelter system built to protect Israeli civilians, was not enough to ensure the protection of the country's exposed oil facilities. Even one direct hit there could damage or demolish such fragile and flammable structures. The failure of Operation Returning Echo to settle anything triggered another round of negotiations, which once again stalled over the Palestinian rejection of Israel's demand to control all fuel and revenues destined for Gaza and the West Bank. The new Palestinian Unity government then followed the lead of the Lebanese, Syrians, and Turkish Cypriots, and in late 2013 signed an "exploration concession" with Gazprom, the huge Russian natural gas company. As with Lebanon and Syria, the Russian Navy loomed as a potential deterrent to Israeli interference. Meanwhile, in 2013, a new round of energy blackouts caused "chaos" across Israel, triggering a draconian 47% increase in electricity prices. In response, the Netanyahu government considered a proposal to begin extracting domestic shale oil, but the potential contamination of water resources caused a backlash movement that frustrated this effort. In a country filled with start-up high-tech firms, the exploitation of renewable energy sources was still not being given serious attention. Instead, the government once again turned to Gaza. With Gazprom's move to develop the Palestinian-claimed gas deposits on the horizon, the Israelis launched their fifth military effort to force Palestinian acquiescence, Operation Protective Edge. It had two major hydrocarbon-related goals: to deter Palestinian-Russian plans and to finally eliminate the Gazan rocket systems. The first goal was apparently met when Gazprom postponed (perhaps permanently) its development deal. The second, however, failed when the two-pronged land and air attack -- despite unprecedented devastation in Gaza -- failed to destroy Hamas's rocket stockpiles or its tunnel-based assembly system; nor did the Iron Dome achieve the sort of near-perfect interception rate needed to protect proposed energy installations. After 25 years and five failed Israeli military efforts, Gaza's natural gas is still underwater and, after four years, the same can be said for almost all of the Levantine gas. But things are not the same. In energy terms, Israel is ever more desperate, even as it has been building up its military, including its navy, in significant ways. The other claimants have, in turn, found larger and more powerful partners to help reinforce their economic and military claims. All of this undoubtedly means that the first quarter-century of crisis over eastern Mediterranean natural gas has been nothing but prelude. Ahead lies the possibility of bigger gas wars with the devastation they are likely to bring. Michael Schwartz, an emeritus distinguished teaching professor of sociology at Stony Brook University, is a TomDispatch regular and the author of the award-winning books Radical Protest and Social Structure and The Power Structure of American Business (with Beth Mintz). His TomDispatch book, War Without End, focused on how the militarized geopolitics of oil led the U.S. to invade and occupy Iraq. His email address is Michael.Schwartz@stonybrook.edu. A disagreement over the terms of a deal to provide a bailout extension for Greece, has set the stage for a final clash between the Eurogroup and members of the Greek ruling party, Syriza. Although the agreement was approved on Tuesday when a list of reforms were submitted by Greek finance minister Yanis Varoufakis to the Eurogroup, Varoufakis believes that changes to the original program give him greater flexibility to implement policies that will end austerity, reduce the ailing country’s primary budget surplus, and ease the humanitarian crisis that has persisted for 6 years. Regrettably, no one at the ECB, the European Commission or the IMF shares Varoufakis’s views on the subject. The so called “troika” thinks that Greece has signed on to essentially the same program that was in place before the negotiations, give or take a few cosmetic changes in the language. And because the program is the same, they think Varoufakis should stick with the same policies as his predecessor and ignore mounting public opposition to austerity. Given the irreconcilable differences between the two parties, there’s bound to be a violent confrontation in the near future that will lead to heated recriminations and, eventually, a Grexit. What Draghi is saying is that Varoufakis’s changes will be put under a microscope to see if they conform with the memorandum which Varoufakis believes no longer applies. The way this will work on a practical basis, is that additional money will only be meted out incrementally depending on compliance with, you guessed it, the old agreement. In other words, Varoufakis will not have a 4 month grace period to experiment with his pro-growth, anti-austerity economic policies. He’ll be expected to toe the line from Day 1. In an interview with Nikos Hatzinikolaou on REAL FM, Greece, Varoufakis rejected the Memorandum while claiming that the new agreement represents “a huge success’ in ending the “recessionary measures” that are needlessly prolonging Greece’s Great Depression. Varoufakis: “The current government (Syriza) wants to say things with their name. I will explain it to you in very simple terms, Mr. Hatzinikolaou. As long as our debt is what it is, as long as Greece was bounded within this iron cage of primary surpluses that were impossible to achieve without killing whatever is left in the private sector, and as long we have a negative sign in investments (essentially, real investments), it was impossible to achieve this exit. First, the cancellation of the recessionary measures and the implementation of a transitional program we ourselves have made, one the Greek society will be able to withstand. This will help us negotiate during this four-month period a new contract between us and our partners with the goal of solving this system of three equations with three unknowns. Repeat: “We consider such commitments and undertakings to be critical for Greece’s ability to meet the basic objectives of its Fund-supported program.” In other words, Greece should not expect to get its loan extension unless it follows the troika’s explicit orders on pensions, VAT (sales taxes), government cutbacks, privatization and labor market reforms. So, what is Varoufakis’s approach to these benchmarks? How about raising the VAT tax? Hatzinikolaou: My fundamental question about the e-mail is whether or not it entails layoffs in the public sector …, if it entails pension reductions … if it entails wage reductions? Let’s summarize: No pension cuts, no higher VAT taxes, no lower wages for public workers, and no layoffs. While I admire what Varoufakis is suggesting, I can’t figure out how he’s going to convince the troika to give him more money. Apparently, he thinks that streamlining the government and aggressively pursuing tax cheats will do the trick. Or maybe he has something else up his sleeve, like ignoring the terms of the agreement long enough to generate growth in the economy, lower unemployment, and create an improved environment for foreign investment. He might think that that will force the troika to acknowledge that austerity has failed and that pro-growth Keynesian strategies actually produce positive results. Of course, that’s just a guess on my part. It’s impossible to know for sure. The “bonds of trust” are going to put to the test if Varoufakis doesn’t comply with the troika’s diktats, that’s for sure. 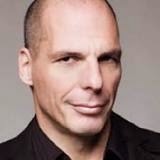 Does Varoufakis really think he can pull this off? Does he really think he can out-fox the slimy, authoritarian brigands and leg-breakers who run these extortionist institutions and who will use every means possible to extract the last drop of blood from their victim be he an aspiring, but penniless student at the university or a destitute pensioner huddling homeless and frozen in an abandoned doorway in downtown Athens? This isn’t going to end well. Varoufakis had one card to play–the threat of leaving the Euro–and he failed to play it. Now his leverage is gone and the roof is about to cave in. Just wait and see. The troika isn’t going to convene another dreary round of negotiations to rehash the same old nonsense. Those days are over. They’re simply going to withhold the money, curtail liquidity assistance, and torpedo the Greek banking system. Kaboom! That’s the way this thing is going to go down. The mood among the EZ finance ministers has soured considerably since the last meeting. They want to put this whole thing behind them. They’re sick of it. They want closure. They’re not going to quibble over issues they’ve already gone over and clarified a million times. Varoufakis will either have to get with the program or face the consequences. That’s the way it works in Mafia-land; you either pay the piper or you find yourself in the East River in cement booties. Who knows: maybe this is what Varoufakis wanted from the beginning, a ferocious clash ending in banishment, a Grexit. Well, he won’t have to wait long now. The Somali militant group Al-Shabaab—pushed back in Somalia largely by African Union (AU) forces and forced to regroup—has released a video calling on jihadists to attack shopping centers in Western countries, most specifically the US, UK and Canada, and is threatening more terrorist attacks in neighboring Kenya, an emerging East African oil giant. Specific Western targets are listed as the Mall of America in Minnesota, the West Edmonton Mall in Canada and the Westfield Mall in Stratford, UK. The FBI says there is no evidence supporting an imminent attack on the Mall of America, but intelligence-sharing is not exactly the forte of US intelligence agencies. At this point we would view the threat against Kenya as the most viable and investors on this oil scene should be on full alert. The Western mall threats are likely two-pronged, with the primary goal of winning new recruits by harnessing the momentum of the Islamic State (IS) in Syria and Iraq. Keep in mind, though, that while Al-Shabaab may not be a large group and it has been dispersed and had many of its power bases destroyed, it has a formidable intelligence unit of its own that has strategically taken over since the AU hit out at the group’s key positions. There has been an interesting development in the murky world of the Kazakh elite. Rakhot Aliev, the former son-in-law of Kazakh President Nursultan Nazarbaev who turned harsh critic of the president, has been found dead in his jail cell in Vienna, Austria. The death is being reported as a suicide. Aliyev turned himself in to Austrian authorities in June last year. He was wanted on murder charges and charges of attempting to overthrow Nazarbaev—charges he claimed were politically motivated, and the Austrians had refused to extradite him to Kazakhstan. Aliev’s lawyer said he seriously doubted his client had killed himself. Early presidential elections will be held in Kazakhstan this year, and Aliev was a thorn in the side of Nazarbaev—threatening to disclose damaging information about the president’s dealings. Nazarbaev has been in power since the Soviet era, and Aliev—previously married to Nazarbaev’s daughter, Darigha, formerly served as the deputy chief of the National Security Committee. He certainly has information from his work at the committee and his marriage into the family that could damage Nazarbaev. In 2007, Aliev was targeted in the investigation into the abduction and execution of two Kazakh bankers, at which point he fled to Austria, where he had previously served as ambassador. The Austrian authorities investigated the abductions and executions on their own in 2011, and in December 2014 charged him with the murders. In 2008, a Kazakh court had sentenced him to 40 years in prison for allegedly plotting to overthrow the government and, in connection to this plot, to being behind an organized group orchestrating abductions. Then in 2013, he was charged (in absentia) for ordering the assassination of an opposition leader and his two associates. Negotiations between Russia and Iran over a swap of oil for industrial goods have been blocked because Moscow is having a hard time finding buyers for the oil. There is fear among potential buyers of what the response in Washington would be given sanctions on both Iran and Russia. There has been a lot of talk recently about the potential for Russia-Iran relations to tighten, but we see no evidence that this is actually happening, nor are we convinced that Iran actually views this as beneficial at this time. It is easy to say that Washington’s moves against Moscow since it annexed Crimea in March last year would push it closer to Iran. But there are two sides to this relationship, and Iran does not seem to be pursuing this whole-heartedly. At the end of the day, the only real deal the two were working on was the oil-for-industrial goods deal, which now seems to have been stopped in its tracks. • The Ohio Supreme Court has ruled in a 4-3 decision that cities and towns in the state cannot enact fracking bans through their zoning laws. This means that the court has effectively overturned a Munroe Falls ordinance that banned Beck Energy from fracking in the town. Beck Energy had sought to drill on residential property in Munroe Falls with the owner's permission and with a permit from Ohio's Department of Natural Resources. The back and forth rulings stem from residents’ concerns surrounding a recent study indicating that fracking had triggered 400 small earthquakes in 2013, and the potential for methane gas to leak from fracking wells close to residential communities. A flash incident that caused 25 families in eastern Ohio to be evacuated after a nearby fracking well sprung a leak fueled these concerns. • The state of New York’s decision to ban fracking in December has led to 15 Southern Tier towns threatening to secede and join Pennsylvania. Presently, these towns—represented by a group calling itself the Upstate New York Towns Association--are conducting studies to determine whether it would be economically feasible to join Pennsylvania, where natural gas drilling is booming and there is no ban on fracking. The group is also comparing tax rates, business expenses and costs of living between the two states. The study is scheduled to be released in a matter of weeks. This puts a new spin on the fracking debate if the issue can actually lead to the reshaping of the US. • The US Interior Department has proposed the first-ever federal regulations for oil and natural-gas drilling in the Arctic Ocean. The proposed regulations would require companies to prepare extensive contingency plans for swift responses to potential oil spills. The proposal shortens the drilling season and requires nearby backup rigs. • A Russian court has refused to grant Rosneft access to a gas pipeline which is part of the Far East Sakhalin 2 project's infrastructure. Rosneft plans to appeal the decision. Rosneft had requested access to the pipeline to reduce spending on its LNG project with ExxonMobil. State-run Gazprom owns 50% plus one share in Sakhalin Energy, had turned down Rosneft’s request before it went to court, saying that it planned to expand its own LNG plant within the Sakhalin-II project. • Murphy Cameroon Ntem Oil has agreed to transfer its 50% interest and operatorship of the Ntem Concession, offshore Cameroon, to Sterling Energy. Sterling will not pay any consideration for the stake and the transaction is subject to Cameroon Ministerial approval. Sterling Cameroon will operate and hold 100% of the Ntem concession after completion of the transaction. The Ntem Concession is a large under-explored block in water depths ranging from 400 to 2,000 meters in the prospective southern Douala – Rio Muni Basin. The minimum work obligation for the current phase of the Ntem Concession was met by the drilling of the Bamboo-1 well in 2014. The well was drilled in 1,600 meters of water and discovered no commercial hydrocarbons. • Connected to the above (because both Sterling and Gulfsands are Waterford Group investments) UK-based Gulfsands Petroleum has announced that drilling operations on the Douar Ouled Balkhair 1 gas exploration well in Northern Morocco have now concluded with the DOB-1 well being confirmed as a gas discovery. DOB-1 is located within the Rharb Centre permit and it has flowed gas to the surface at a rate in excess of 10mln cubic feet per day. Analysis has indicated a gas bearing sandstone reservoir section with excellent quality. The primary reservoir target was found to have 4.2 meters of gross thickness - 3.7 meters net – with average gas saturation of 70% and porosity of 34%. This comes after Waterford tried to remove the CEO in an early February EGM in opposition to the company’s strategy in Morocco. • Russia's Eurasia Drilling is delaying a deal to sell a stake to Schlumberger as it awaits approval from Russia's Federal Anti-Monopoly Service. In January, Schlumberger said it planned to buy a 45.65% stake in Eurasia for about $1.7 billion. Eurasia Drilling Company’s share price has dropped over 14% since it announced the delay. • Anadarko’s Kifaru-1 well in the onshore Rovuma Block in Mozambique has been drilled to a final total depth of 3,100 meters but has failed to find commercial levels of hydrocarbons. The consortium on this block also includes Wentworth (11.59%). Anadarko is the operator with 35.7% interest. Last week, Anadarko said it was negotiating the annual supply of more than 8 million tons of natural gas from Mozambique to Asian customers. The World Bank recently said Mozambique has the largest natural gas deposits in Sub-Saharan Africa with over 20 billion barrels reserves of natural gas in deep waters. • A Russian-led consortium has been chosen to build and operate Uganda’s $2.5 billion Hoima oil refinery project. Russian RT Global Resources is a subsidiary of Russian defense company Rostec. The RT Global consortium outbid a group led by SK Engineering and Construction Co. of South Korea. Final offers were submitted in January. The refinery will be in western Uganda, near Alberta Lake. Initial refining capacity will be 30,000 barrels per day. The government of Uganda will have a 40% interest in the project, with the Russian-led consortium holding 60%. There is some suspicion that the deal was won with promises of arms deals attached, particularly given the connection here to Rostec. Rostec CEO Sergei Chemezov is on the list of Russians subject to sanctions imposed by the European Union because of Moscow’s actions in Ukraine. • Shareholders in Canada’s Talisman Energy have voted to approve an $8.3 billion offer from Spain’s Repsol under which a wholly-owned subsidiary of Repsol will acquire all of Talisman’s outstanding shares. 99% of shareholders voted in favor of the agreement. Repsol will also assume Talisman's $4.7 billion long-term debt. • Kenya will begin work landmark work next month on a massive regional infrastructure project--the Lamu Port-South Sudan-Ethiopia Transport (LAPSSET) project—that stands to turn the country into THE East African energy hub. The project will include a port, new roads, a railway and a pipeline by 2030 that will give landlocked South Sudan and Ethiopia access to the Indian Ocean. The price tag on the project is in the neighborhood of $25.5 billion. In 2013, officials said a consortium led by China Communications Construction Co Ltd had won a $449 million contract to build the first three berths of the port. Kenya could start exporting oil as soon as next year, led by UK-based Tullow, which is trying to fast-track production plans in the Lokichar basin.